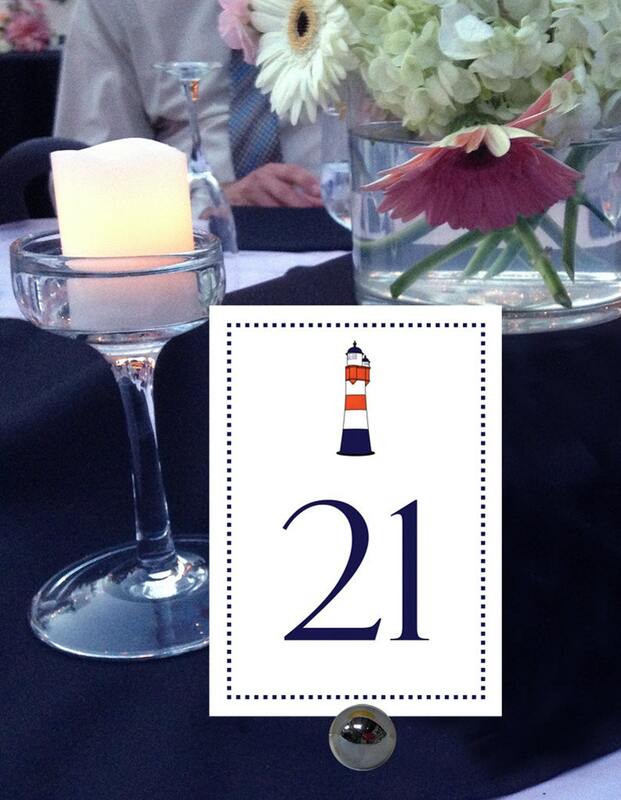 Lighthouse Table Numbers, Nautical Table Numbers, Beach Table Numbers, Navy and Red Table Numbers, Shore Table Numbers, 1 - 50 Instant Print. Add a romantic touch to your special day with these Lighthouse Table Numbers, Nautical Table Numbers, Beach Table Numbers, Navy and Red Table Numbers, Shore Table Numbers, 1 - 50 Instant Printable Table Numbers. Great for the DIY bride or party planner looking for stylish wedding decor! ▶ Colors: Red and Navy design, navy border and numbers as shown. With this design you can change the numbers and border colors. The lighthouse will remain the same colors as shown. Purchase our Table Number Color Change listing https://www.etsy.com/listing/236429260/color-change-for-table-numbers? and pick your color from our color chart. 2 table cards per 8.5" x 11" page that can be cut to 4" x 6", 5" x 7" or a half sheet 5.5" x 8.5"